Check out this classic, golf-themed decorative hanging ornament. 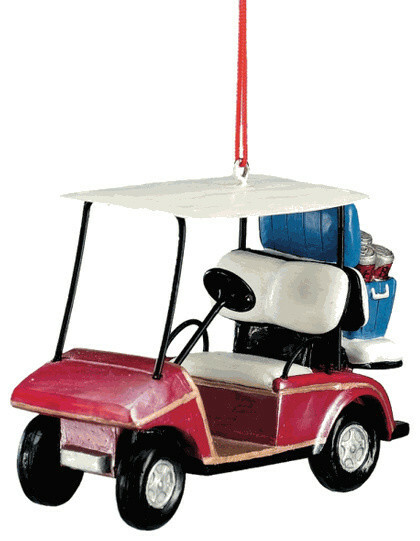 This resin ornament is hand-painted a vintage red and intricately crafted in the shape of a golf cart with a blue cooler in the back. Personalize your holiday decor with this amazing piece. Guaranteed to grab everyone's attention. Get yours before the holidays!